Presenting new issue of the Journal. The topic is 6th Congress of ROPRYAL. 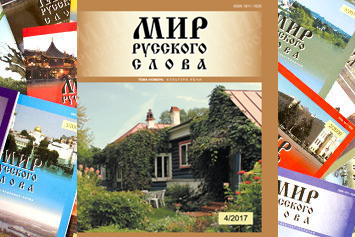 In the 3rd issue of the Journal we talk about Russian Grammar. Presenting new issue of the Journal. The main topic of this issue is Grammar. Presenting new issue of the Journal. The main topic of this issue is 50 years Anniversry of MAPRYAL. Presenting 4th issue of the Journal. 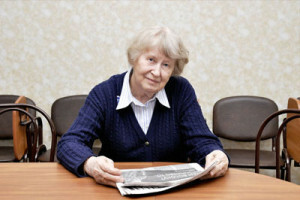 The main topic of this issue is Speech culture. 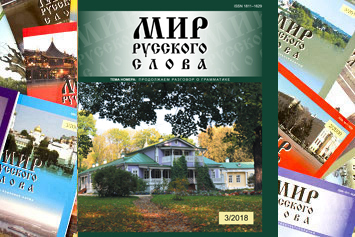 The scholarly and methodological journal The World of Russian Word (Mir russkogo slova) is an informational organ of the Russian Association of Teachers of Russian Language and Literature (ROPRYAL). 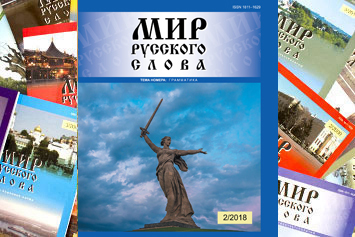 The journal is registered by the Russian Federation Ministry for Printing, TV and Radio Broadcasting, and Mass-Media Communications at September 11th, 2000 (certificate ПИ № ФС77-30539, date of issue December 12th, 2007). 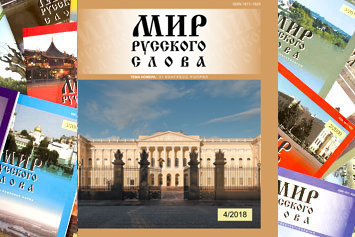 The journal comes out quarterly since 2000, publishing theoretical and methodological articles on actual problems of linguistics, linguocultural studies, literary studies, teaching methodology of Russian as a native, non-native and foreign language. It also presents materials of round-tables and conferences on the questions of speech culture, mass-media speech practice, etc. All incoming articles are to be blind-reviewed. 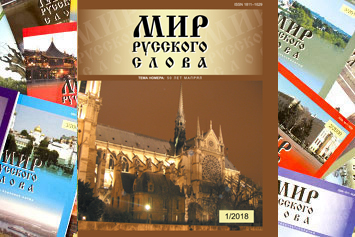 Our authors are well-known Russian and foreign specialists in Russian Studies, leading methodologists, practicing teachers, postgraduate students, employees of educational institutions and non-governmental organizations, writers, authors of textbooks, manuals, distance learning courses and dictionaries. – Scientific Electronic Library CyberLeninka.